WHAT IS A MOBILE SITE AND WHY DO YOU NEED ONE FOR YOUR BUSINESS? Our mission is to make the mobile web easy and accessible for everyone. We know how challenging it can be for small businesses and entrepreneurs to keep up with new technology and fast changing consumer trends. To help you, we have a platform that lets us create a mobile-optimized site for your business with great features that makes your mobile site user friendly. We are a Google Mobile Initiative developer and we can get your business up and running with a customized mobile website today! website to see how it looks on a mobile device. This reports will show you what your customers are seeing. Click here to run your report. Once you view your report, contact us so we can start working on getting your business mobile and help deliver more customers to your business. Call us at 770-964-3250 or email us at gomobo@image-results.com to get started. 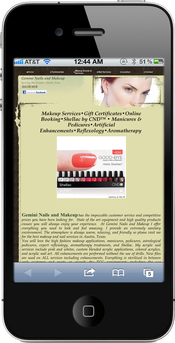 Our mobile websites are fully designed and managed for each and every client. Any plan that you choose will gain you the full solution with no missing parts. We custom design the site, update the site and license it for you, you do not need to do a thing. Unlike the competition, we offer a full service solution that guarantees the entire job is done from the initial design to the connection of the mobile friendly website. 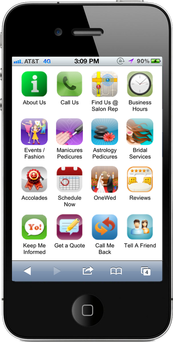 We can handle your updates and management of the mobile site and mobile marketing tools and features too. Consumers can now use smart-phones and tablets to interact with businesses 24/7, from anywhere - at home, at work, on a bus. And companies that embrace this always-on behavior can increase their business tremendously. 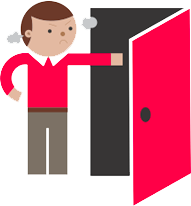 Your future customers are literally around the corner, and mobile can get them in your door. "A mobile-friendly site makes me more likely to buy a product or use a service"
If I don't see what I'm looking for right away on a mobile site, I'll quickly move to another site." WHAT IS THE DIFFERENCE BETWEEN A STANDARD VS A MOBILE-FRIENDLY WEBSITE? Comparison between a standard website that isn't optimized for mobile devices vs a mobile friendly website. Why should your business website be Mobile Optimized? 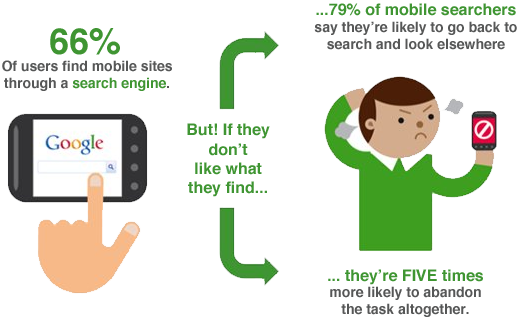 Your customers and site visitors are mobile - are you? Here are some simple facts. There are over 4 billion mobile phones in active use worldwide: 4 times more than PCs. 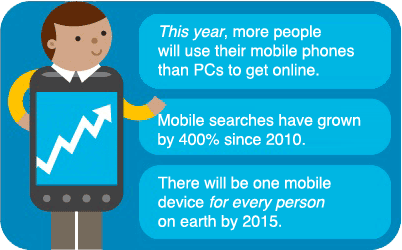 In 2010, mobile web usage increased 148% globally (Source: Quantcast) and the numbers continue to rise. In fact, by the end of 2013, customers using the mobile web are projected to grow to over 5 billion. 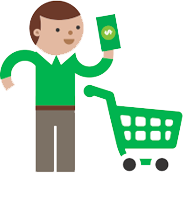 Your customers are already looking for you on their mobile phones; shopping, seeking, comparing. This is a huge opportunity for your business you don't want to miss. If your business is not on the mobile web, a significant number of your customers won't be able to find you! Mobile sites are designed for the small screen, with the needs of mobile users in mind. 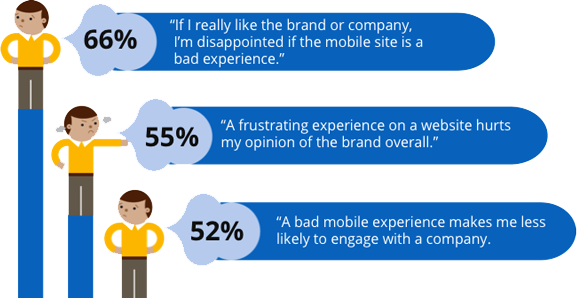 A mobile-friendly site can help your business connect with customers and increase sales, but a bad mobile experience can drive your customers to your competition. Not being mobile-friendly helps your competitors. 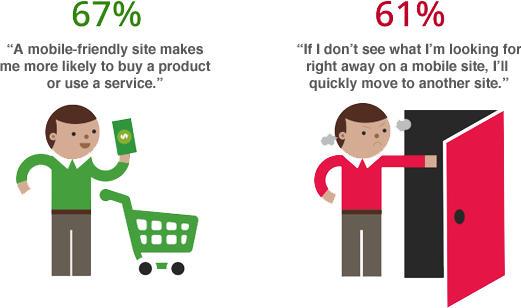 Customer prefer mobile sites to apps. 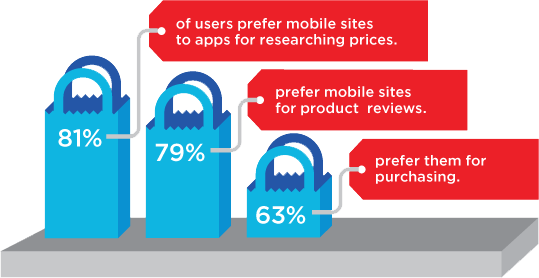 Apps are fun and useful, but many customers prefer mobile sites for shopping. SMS stands for Short Messaging Service. This feature is unique to us and allows you to immediately create an SMS or Email based marketing and customer loyalty program. Visitors to your mobile site use the "Keep Me Informed" button to sign up to follow you. With a single click, you can send Text or Email messages to all of your followers with your latest news or to offer instant specials and deals. Since over 96% of people who receive text messages open them, this is a powerful marketing feature. When you are ready give us a shout, we're here for you!